The rebel group currently consists of approximately 500 individuals, of which only 250 are combatants, states the report. The command structure is in flux, with Joseph Kony likely far north of the majority of his troops in the Sudanese-controlled area of the Kafia Kingi enclave. Over the past year, Kony ordered the execution of a number of his senior officers, leaving younger, less-experienced fighters in command. Many of the small groups of rebels, typically consisting of five to seven soldiers, are increasingly unstable as defectors have an easier time leaving these squads. Defections from the LRA and reintegration of the defectors into civil society is key, explains the report. The number of people braving the threat of death to escape the LRA is increasing; defectors are encouraged by initiatives such as safe reporting sights, FM radio transmissions, defection flyer drops, and public announcements near areas known to be inhabited by the LRA. However, reintegration is becoming a greater challenge. Funding of reintegration programs by the Ugandan government have been drastically cut, leaving local and international organizations to fill the void. The majority of current combatants in the LRA are from Uganda, even though they act outside of their home country. Defectors face a greater threat of being found by another group of LRA fighters or an unwelcoming community if they are unable to get to safe reporting sights on their way home to Uganda. With the increase in defections and greater need for reintegration support, The Resolve's report recommends that all involved parties should act together. They ask the African Union and other governing bodies to enable expanded defection efforts, such as that over the Kafia Kingi enclave where Joseph Kony and his closest supporters have been. 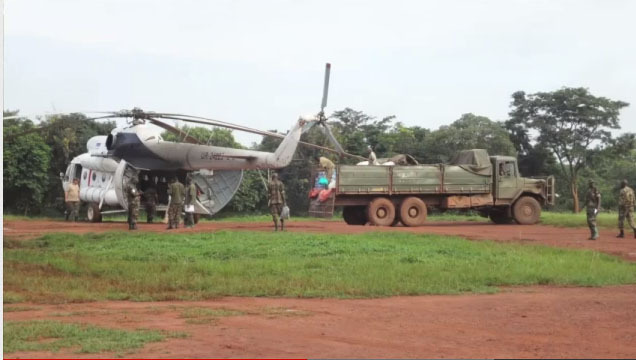 Further, they strongly encourage the U.S. to continue the military advisor mission to the Ugandan army, or UPDF, and to support international efforts to bring an end to the LRA. The Resolve recommends that all actors involved remain committed to a peaceful solution to the LRA crisis in all countries of activity. Read a detailed summary of the report here.